A girl who has been given her wish to walk after a £65,000 life-changing operation is having her hair cut to help her friend who needs the same procedure. After people came forward to help Scarlett Hewitt and her family raise the money in just three months last year, she and her sister Sienna have come up with a fundraising idea. 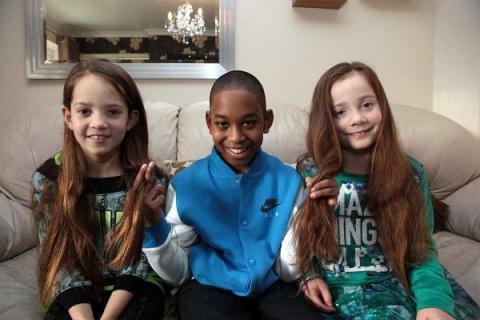 They are both being sponsored to have their hair cut into a bob, with all the money they raise going to their friend Malachi Reid. And their hair will be donated to make wigs for children who have lost their hair because of cancer.